UPDATE - Wednesday 24th September, 1:28pm: The PES 2015 demos for PS4 and PS3 have just been released for the UK and Europe. UPDATE - Wednesday 24th September, 10:04am: The Xbox One and Xbox 360 demos are now available in the UK and the US for all members of Xbox Live Gold. To download, go to Games > Browse Games > Demos > New Releases. Or just visit the Xbox website (Xbox 360). 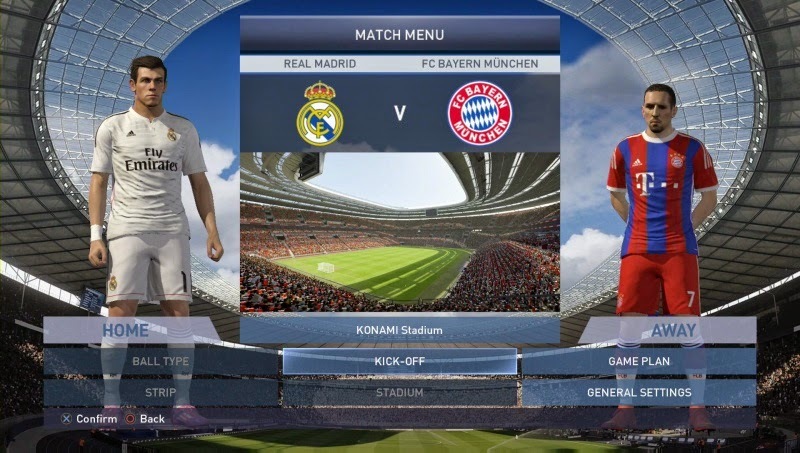 UPDATE - Monday 22nd September, 11:21am: Available on PS4, Xbox One, PS3 and Xbox 360, Konami has confirmed the PES 2015 demo will be available for Europe on Wednesday 24th September. If you're on PS4, Xbox One or PS3, you can download the demo right now from Hong Kong - scroll down for instructions. If you're on Xbox 360, you may be able to download the demo tomorrow from the US, so be prepared to create yourself a US Xbox Live account (if you haven't already got one). 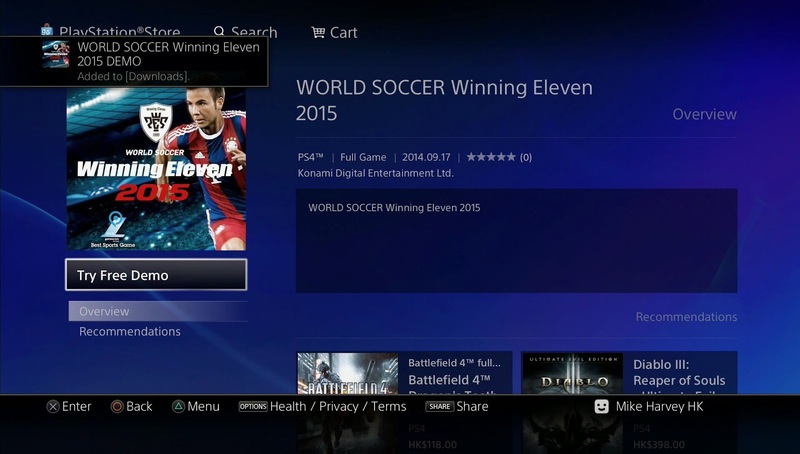 Known as 'Winning Eleven 2015' in Asia, the Pro Evolution Soccer 2015 demo has gone live for PlayStation and Xbox One users. Despite being delayed for Europe and the US, all fans can still access the demo by downloading the Hong Kong version - don't worry, all menus are in English and the following steps should only take you a few minutes. For PlayStation 3 and PlayStation 4, you just need to make a second account. When registering, make sure that you select Hong Kong as your region and, if asked, your address too. For Xbox One, you don't need to make a second account. You just need to change your console's region to Hong Kong. Do this by loading up your console, and go to Settings > System > Location > select Hong Kong. Unfortunately, the 'HK trick' doesn't seem to work for Xbox 360. However, we'll keep trying throughout the week and we'll come back to you if we manage to get it working.